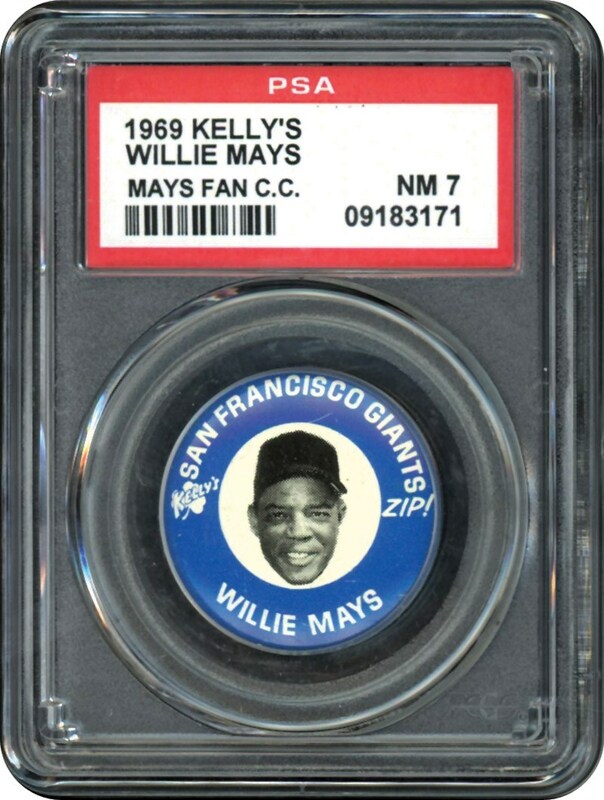 Issued in 1969 by Kelly's Potato Chips, this Mays Pin was 1 of 20 Pins in the set. The players team and name appears on the front of each pin. Measuring 1-3/16" in diameter "Kelly's" appears on the front left and "Zip!" is on the right front side. The unnumbered Pins are RARE and highly desirable. 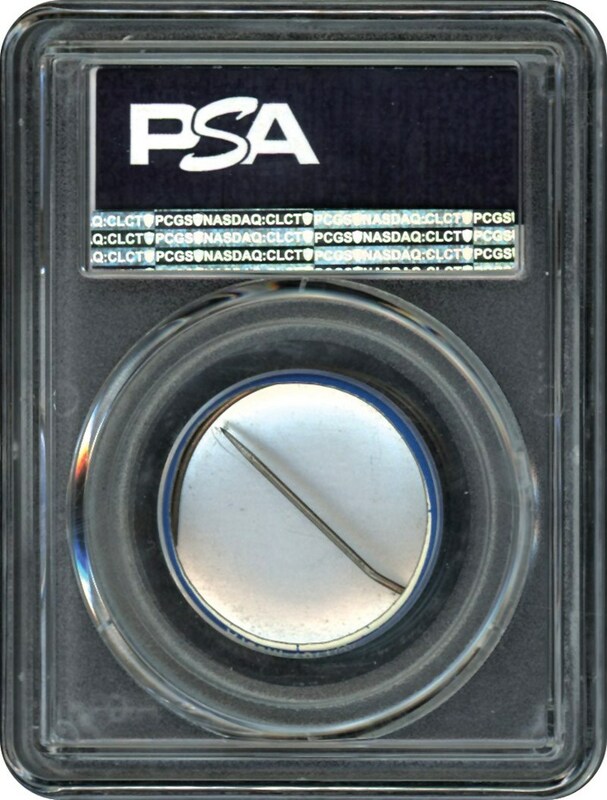 The offered Mays Pin is a POP 4 with 2 grading higher in the PSA 7 holder.